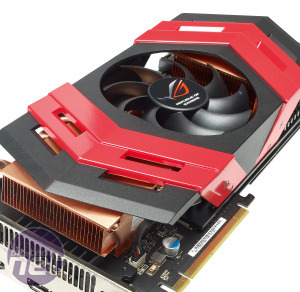 Last year Asus wowed us with its £1,000 Mars graphics card which put two GTX 285 GPUs on one PCB. Admittedly we were wowed more by the price and the engineering of the card than by its value for money, but Asus deemed the Mars enough of a success to make a successor: the Ares. Unfortunately, unlike the Mars, which was unique and engineered from the ground up to accommodate two GPUs that weren’t explicitly designed to work together, the Ares is based on a retail product, namely Radeon HD 5970. That’s not necessarily a bad thing though as the last heavily overclocked version of this card we saw - the Sapphire Toxic - blew us away with its performance. 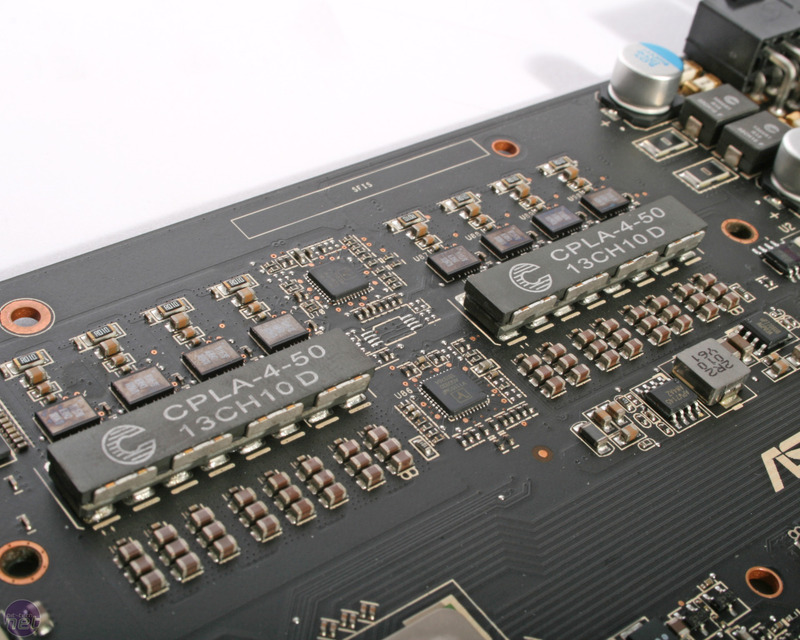 Unlike the Toxic though the Ares has an almost entirely redesigned PCB with lots of enthusiast level features. 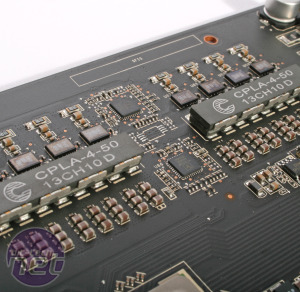 Most obvious of these is the highly modified power system which now sports 8-phase power circuitry as opposed to the 4-phase of the stock HD 5970. 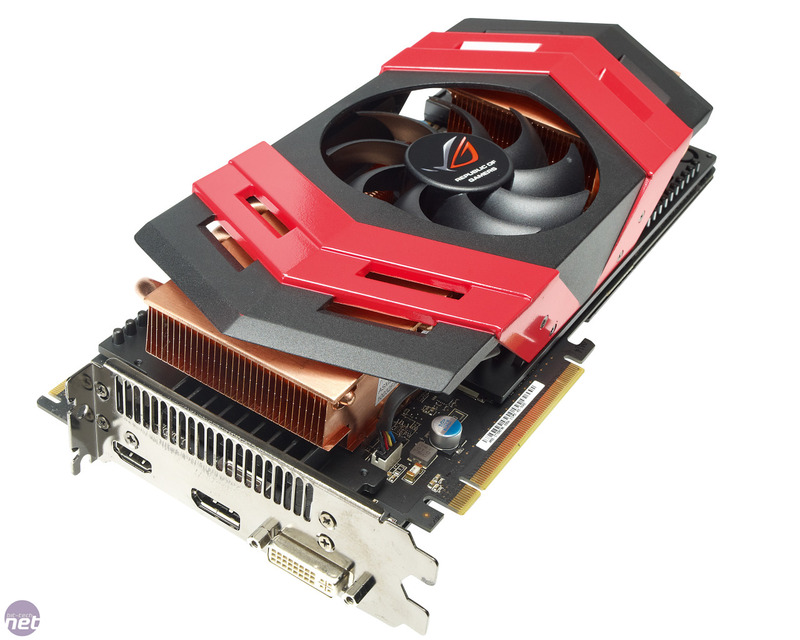 This beefed up circuitry feeds power to the two HD 5970 GPUs which run at 850MHz. This represents a 125MHz bump over stock HD 5970 speeds but is 50MHz less than Sapphire managed with its Toxic card. The Ares' 4GB of memory also benefits from its own dedicated two phases of power circuitry which help it race along at a spritely 1.2GHz (4.8GHz effective). Again this is a hefty overclock over the 1GHz (4GHz effective) of the stock card but is matched by the Toxic card. This puts the Ares in a bit of a bind, as it's currently retailing for over £200 more than the Toxic card despite having an inferior overclock. The Toxic received a great deal of praise for its custom cooler as the HD 5970’s stock cooler is loud and isn’t ideal for cooling two heavily overclocked GPUs. As a result it was no surprise to see Asus had also fitted a custom cooler, what was a surprise though was just how much the cooler weighed. Built around two hefty blocks of copper (one for each GPU) the cooler rocks in at 2.2kg in weight which makes the Ares the heaviest graphics card we’ve ever tested. It’s literally twice as heavy as a normal HD 5970 and we were sure to make certain it was bolted into our test rig securely before our testing. Cooling the two monolithic blocks of copper is a single fan, located in the centre of the board which blows air down towards the PCB and out each end of the card. This arrangement isn’t ideal as half of the waste heat of the card will be blown towards the front of your case where your hard disks are likely to reside. Asetek-cooled limited edition dual-GPU beast.